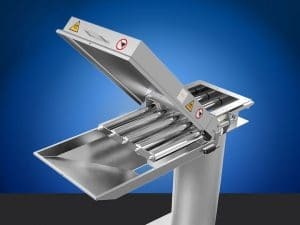 At Powtech in Nürnberg (Stand 1-416) Goudsmit Magnetics of Waalre will introduce an automatically cleanable ‘Easy Clean’ magnetic separator. 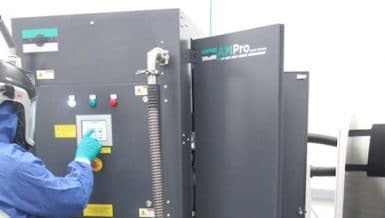 This is used to remove metal particles (>30 µm) from powders in the food, chemical, ceramic, plastics, and other industries. 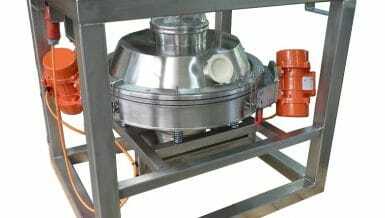 The Easy Cleanflow magnet is notable for its high magnetic flux density of over 12,000 gauss on the bars that come into direct contact with the product, as well as a deeply penetrating magnetic field that effectively makes powders and granulates iron-free at high flow rates. 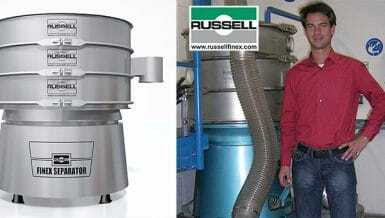 The magnet is dustproof to an overpressure of 1.5 bar and includes a simple controller. The user-friendly cleaning requires 6 bar air and a 24 VDC start signal. The captured ferrous particles land in a collection tray. The modified design consists of a single row of thick Ø50 mm bars instead of the two layers of thin Ø25 mm bars that were used previously. New measurement techniques, including simulations of magnetic fields and tests, have shown that this results in a higher separation yield. The thicker bars have a higher flux density and a deeper holding field and remain in contact with the magnetic particles longer. An additional benefit is the reduced height of the magnet as a whole, which means it requires less installation height. Moreover, a single row of bars results in improved product flow, which is particularly beneficial when it comes to poorly flowing powders. The pneumatic magnetic bars simplify the cleaning process. The magnetic bars are slid out along a guide and, once, outside the housing, the magnetic bars are exposed by blowing them out of the tubes. A plate then retains the captured metal particles, after which they fall into a collection tray. The Easy Cleanflow magnet, with its enormous magnetic holding power of 12,000 gauss at the bars, is also perfectly suited for the separation of small, weakly magnetic stainless steel particles. Tests and measurements have also shown that magnetic holding power alone is not enough to separate stainless steel particles. It is also of critical importance that these particles come into contact with the bars as they flow past. Optionally available deflectors can effectively guide the product flows containing weakly magnetic particles along the bars so the product always contacts the bars.